UK Marine Trades Insurance specialists Insurance Risk & Claims Management (IRCM) are providing Marine Traders with a fast offline quotation service that means Marine businesses can obtain a quote and cover for marine trader’s liability in just a few minutes. 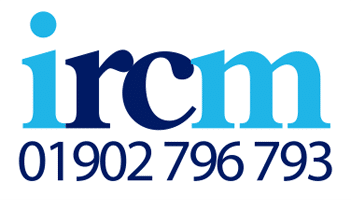 In addition to assisting sole traders who typically might require Public & Yachtyard Liability Insurance with some tools cover, IRCM are also often able to assist larger cases requiring buildings, machinery and vessels cover with an immediate quote and cover service, including issuance of documentation. Whereas Liability and Contents Insurance is generally available in an online format for many sectors, because the Marine Industry often requires specialist cover, online quotation options are not widely available. Policy coverage varies significantly in the Marine Trades Insurance segment and most policies will restrict size and value of vessels worked on. It makes sense, therefore, for Marine Traders to talk to a specialist who can find out about their business and recommend the appropriate insurance policy to accurately meet the trader’s specific requirements. Mark Elcocks, Specialist Risks Executive with IRCM, said “There seem to be more marine engineers working on a sub-contractual basis rather than an employed basis who require their own Public and/or Yachtyard Liability Insurance. We are frequently asked to provide almost instant insurance for some traders and have effective systems in place which mean we can respond to requests for immediate cover. Because IRCM also has delegated in-house underwriting privileges they are able to offer quotations without necessarily having to market cases to insurers. The advantage to Marine Traders seeking a prompt quote and cover service is that in the course of a short telephone call, they can discuss their requirements, be offered a premium indication and have the necessary terms and conditions relayed to them in the same call. Payment or finance can be simultaneously arranged as appropriate and a certificate of cover emailed immediately. “We are often asked to email the certificate of cover to a particular marina office where the contractor is ready to begin work” said Mark, “A fast, accurate service with good cover can make all the difference to marine traders who need to get on and fulfil their contracts”.